Part One and also Part Two. DFQ: What question would YOU like to ask Michael? Relax … Relax … Relax-ay-voo! Why are we all such over-confident know-it-alls? Here’s a phenomenon we’ve all noticed: a friend insists they’re right about something, refuses to waver in spite of doubters, and then consults Wikipedia, only to realize that they’re dead wrong. “What we find is that people are quite ready to start talking about things they can’t possibly know anything about because we made that thing up in our office just the week before”. The rationale for the behavior may be pretty sound, when you consider basic human behavior and communication. In other words, if someone thinks they’re a news junkie, they’re much more likely to think the things they’re saying about people in the news are true. Fancy yourself a politico? You’ll probably say you’ve heard of senators that don’t exist. Whether this trend to be overconfident is a good or bad thing – well, the jury’s still out. This story was based on an interview for the PRI radio show Innovation Hub. 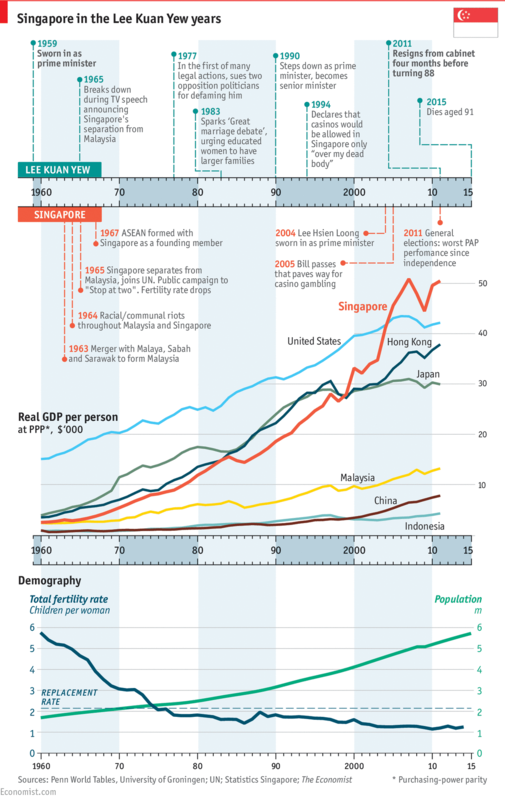 Lee Kuan Yew was at helm of the one of the most astonishing economic records of the last century. Singapore owes much of its prosperity to a record of honest and pragmatic government, the legacy of Lee Kuan Yew, who has died aged 91.